I’ve been fortunate enough to live in several other countries (Hong Kong, Japan, China, the Netherlands) during my business career and have met some wonderful people, learned different cultures and languages, and have become more understanding of different opinions, lifestyles, and political and social beliefs. It’s made me a better business person, husband, and father to my two children. So, if I had an unlimited amount of money, I would sponsor every college student around the world to live in another country for two years. I think this would alleviate much of the world’s problems we see today. 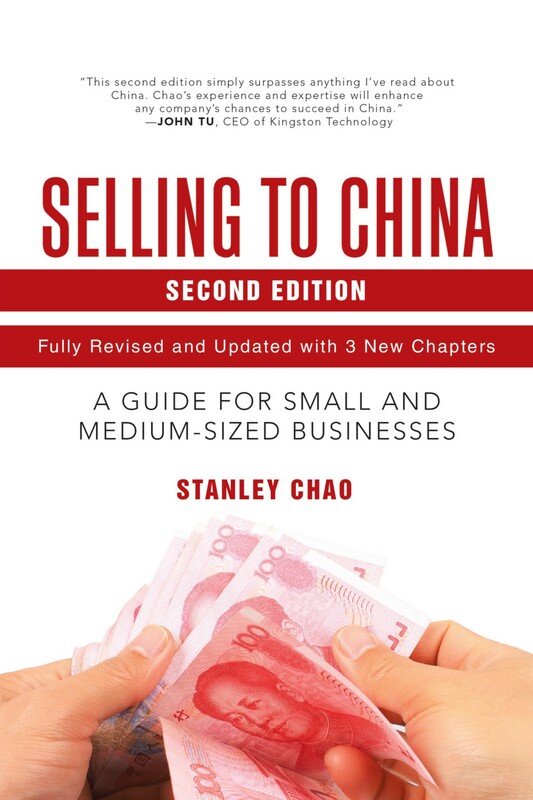 I had the pleasure of interviewing Stanley Chao, managing director of All In Consulting and author of Selling to China: A Guide for Small and Medium-Sized Businesses. 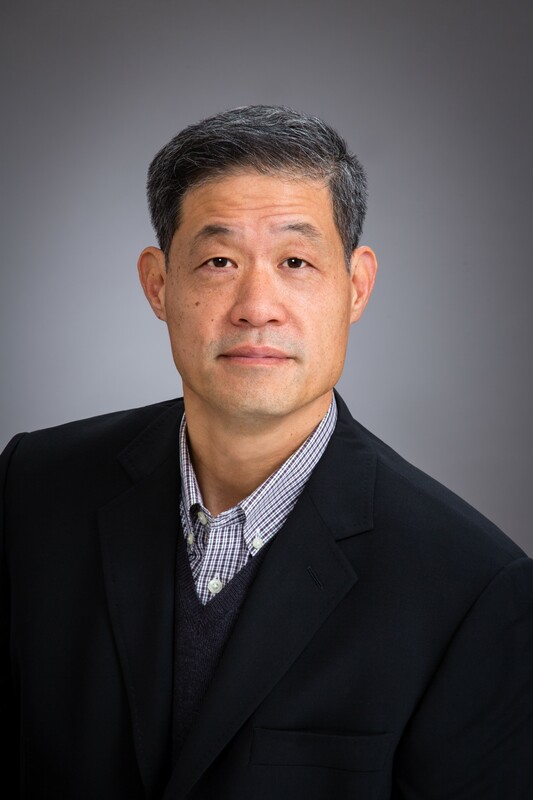 Chao has been assisting Western companies in China for 20+ years and has conducted over 100 projects for various vertical markets including the aviation, automotive, pharmaceutical, high-tech and waste management industries. Chao speaks English, Mandarin, and Japanese and resides in Los Angeles. Thank you so much for joining us. Can you tell us a story about what brought you to this specific career path? For a long time, I worked for various companies that were doing business in China, and I found they were making the same mistakes over and over — signing unenforceable contracts, forming unmanageable joint ventures, and just plain old getting ripped off on deal after deal. After about 10 years of this, I thought to myself, “Why don’t I just write a book about these common problems and start a consulting company to help them?” Fast forward to now, and we’ve completed over 100 projects for over 100 companies and are still going strong. I have three interesting projects: 1) I’m assisting some Maine lobster fishermen to export to China. It’s been difficult since seafood has been targeted in the Sino-US tariff war. 2) The China aviation industry needs a lot of equipment, maintenance services, and training from foreign companies, so I’m working with a few Western-based companies to supply these products and services. The key is to do it without giving up their technologies or intellectual property. 3) Vitamins are a hot product now in China, as the Chinese consumer is just becoming aware of Western health-related products, so we’re trying to introduce some well-known brands to China and working with China’s online retailers and brick-and-mortar shops. I had a great boss in John Tu, owner of Kingston Technology and one of Forbes’ top 100 richest Americans. He taught me to be humble. I recall a business trip in Hong Kong where we were late for a business meeting and couldn’t get a cab since it was pouring rain, so we ran along the busy sidewalk dashing in and out trying to avoid umbrellas. As we were scurrying, John saw an old woman in the side of the street asking for handouts. Nobody noticed her except for John. He stopped, took out his wallet, and gave her a $100 bill. This taught me that no matter how rich you are, or how busy you are, take the time to do something good for others. And do it without conditions, without expecting to get something in return. Chinese consumers want to buy foreign products that are personalized to their interests and tastes. They want something unique, that’s one-of-a-kind that they call their own. For example, a Chinese friend purchased a personally designed coffee cup. She found the small pottery store online in the US and told the owner exactly what she wanted: a small pink triangular-shaped cup with her name on it and blue birds and green butterflies painted on each side. Many US-based artists, small shop owners, and home-based businesses provide these types of products and services — custom-made clothing, greeting cards, artwork — but don’t have direct access to Chinese consumers. The challenge is how to bring the Chinese consumer and these small boutique shops together in one place where they can communicate, negotiate, and finalize a transaction. I still don’t know how to do it. You see, they key is to somehow localize that small, boutique shop in China, but to do it in a way that doesn’t take away the qualities that made that store unique in the first place. In short, how do we internalize a local product? I see two major challenges for Western business people. 1) Contracts have to be treated differently in China. In the US, we know at the very worst, we can sue someone or a company if problems arise. Not so in China. Until recently, foreign companies lost 99.9% of all lawsuits they filed in Chinese courts. So you have to look for different ways to enforce a relationship. For example, have your own inspectors at a manufacturing plant if you’re outsourcing, or use multiple distributors if you’re selling into China so each distributor can keep an eagle eye on the others and report any wrongdoing. 2) Foreigners like to use their “gut instincts” when doing business in China. I always tell them that their gut doesn’t work in China. How can you trust your Chinese counterpart when you have nothing in common with them? You speak different languages, live in different countries, grew up in different environments, and eat different foods, so what makes you think you can know him, let alone trust him? You can’t. This trade war isn’t really about economics. It’s now both a political and face-saving battle. Trump can’t back down from his antagonizing rhetoric against the Chinese and the Chinese won’t kowtow to the US for fear of being labeled “soft” by its 1.4 billion citizens. I think the Chinese are waiting until after the mid-term elections to decide what to do. If the Republican party — which is to say Trump — wins, the Chinese may give in to Trump’s demands for fear that this trade war may last until 2024 assuming Trump wins reelection in 2020. China can fight this war until 2020 but not another four years. But if the Republicans lose Congress, we’ll see a more defiant China not afraid to go toe to toe with the world’s biggest economy. China will be willing to fight it out until 2020 when they hope Trump will lose his reelection and both countries will return to the pre-Trump days of happy times. As I write in my book, “think long-term but react short-term” for your China business. If you still see success in the next five to seven years in China, then don’t change your long-term plans. Continue to invest in China. 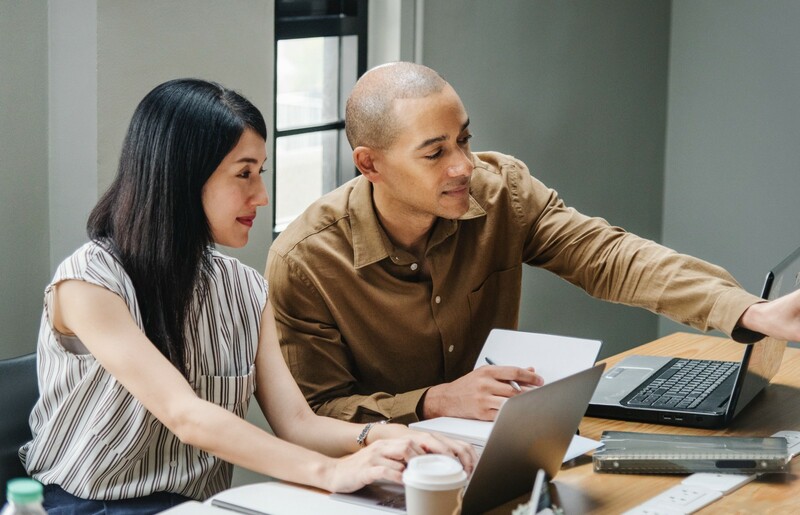 However, you should make short-term tweaks to the business as economic conditions change month to month — like tariffs, currency fluctuations, or product demands. For example, we’re seeing if we can ship the Maine lobsters I mentioned above to Hong Kong first before finally sending them to China. This may reduce some of the tariffs. Can you please give your favorite “Life Lesson Quote?” Can you share how that was relevant to you in your life? I lived in Arizona when I was young. At that time, virtually no Asians lived in Phoenix. In school, I was called names — slant eyes, Chink, Jap. I was bullied, punched, and ridiculed on a daily basis. Oh, I remember how I didn’t want to be Chinese. I didn’t want to look the way I did. I wanted to look like everybody else. I tell this story to my two children, friends, and colleagues whenever they’re feeling down, depressed or just having a rotten day. I’ve been fortunate enough to live in several other countries (Hong Kong, Japan, China, the Netherlands) during my business career and have met some wonderful people, learned different cultures and languages, and have become more understanding of different opinions, lifestyles, and political and social beliefs. It’s made me a better business person, husband, and father to my two children. So, if I had an unlimited amount of money, I would sponsor every college student around the world to live in another country for two years. I think this would alleviate much of the world’s problems we see today.